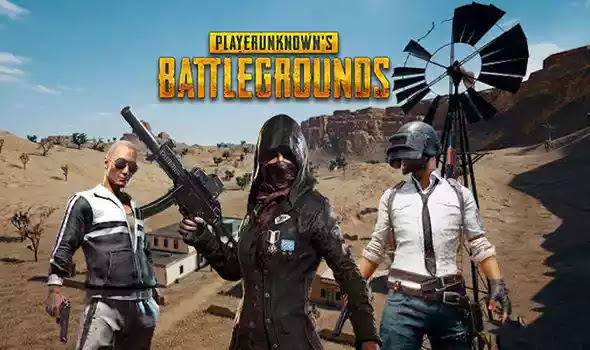 Playersunknown Battleground (PUBG) Mobile which was Announced as the Best Game of 2018 on Google Play as well as the User’s Choice Game of 2018 on Google Play.A lot of new things had been added in the new version of 0.10.But one good thing is that the game has entered recently to the season 4 which has derived a lot of new players to the game and most of the players are upgrading to the ELITE PASS by which the company ( Pubg company) is generating better revenue. The full support by devolpers to the plsyers is incredible which drives the mobile platform gamer's to spend countless hours in playing PlayerUnknown's Battleground Mobile. Now lets talk about the upcoming update of Pubg in which a brand new map VIKANDI (Dihor otok) had been added. Article: Pubg update new snow map: know everything in detail. The new map Vikendi will not be released for PUBG MOBILE before the end of december or in the 3rd or 4th week of january.Full detailed article will be added to our website soon. Scar-L has been removed in this map also as it was removed in the Sanhok map. We do not have confirmed information on the exact date of release for the stable 0.10.0 apk update for Pubg Mobile. However, we expect the update to be released in the coming week. For upcoming updates stay tuned with us by Clicking on the Allow notification above or by subscribing to Newsletter of our blog by below. Pubg Mobile wins 3 honours at google play 2018. PUBG Update: PUBG Patch 24 includes Snow Map, New rank system and much more. PUBG Update: PUBG Patch 24 includes Snow Map, New rank system and more. PUBG Update patch 24 includes snow map: A new PlayerUnknown's Battlegrounds patch details were revealed by the PlayerUnknown's Battleground community manager for Hong Kong, Taiwan and Macaw in a podcast with a content creator who goes by the name kimi69. The whole details which were revealed about Patch 24 are quite interesting and it is what the Players of PUBG all over the world were waiting for over a long period of time.Below is the list of new things and new changes which you will see in the upcoming update of Patch 24 of PlayersUnknown Battleground. There will be a quite new system of reward system for parachuting and rank, the player can earn better rewards with better rank and creative, fast parachuting techniques. A brand new better then previous cheat engine will be added in the game to prevent the cheats in the game.The players who will be using any kind of cheat on their account will be banned fastly and their names will be showed on the screen.The banned players name will appear on the kill feed section.In my opinion this is the best thing that the community of Pubg will add in the Game.The anti-cheat system will work same as we have seen in Rainbow six siege. The Brand new Snow map will be added in the game in the test servers before the 31st of December.The new snow map “Vikendi” will also include two weathers most probably the night mode and the blizzard mode. Footprints are also confirmed by the game and these will be used to track down the players. Not only footprints,The vehicle tracks will be also used in the game to track down the players . The community manager of Playerunknown Battleground has also confirmed that the brand new fast vehicle will be in the new snow map “Vikendi” .In my opinion the chances of Vehicle which will be added in the snow map is snowboard or snow mobile both of these have the high chances to be added. The user interface and the lobby has also chances to be updated in the game.